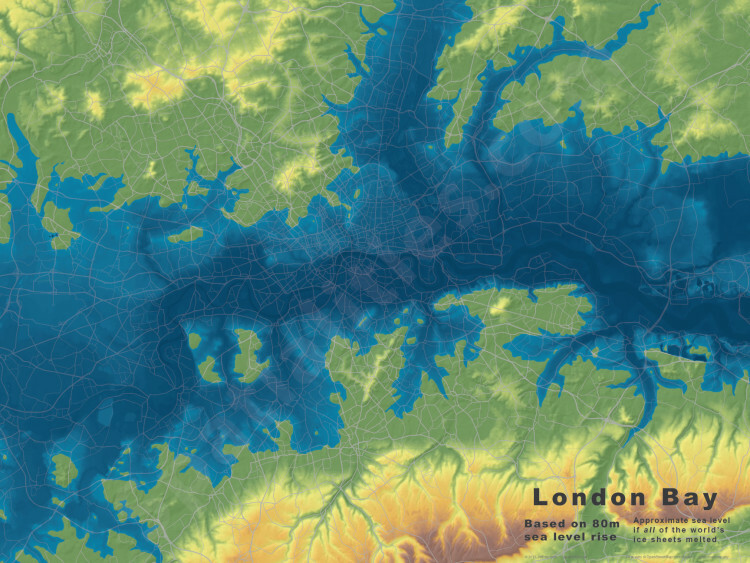 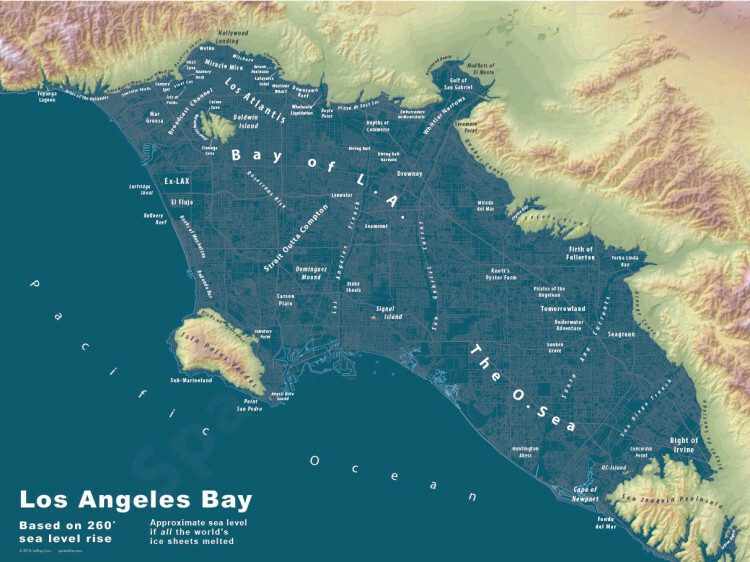 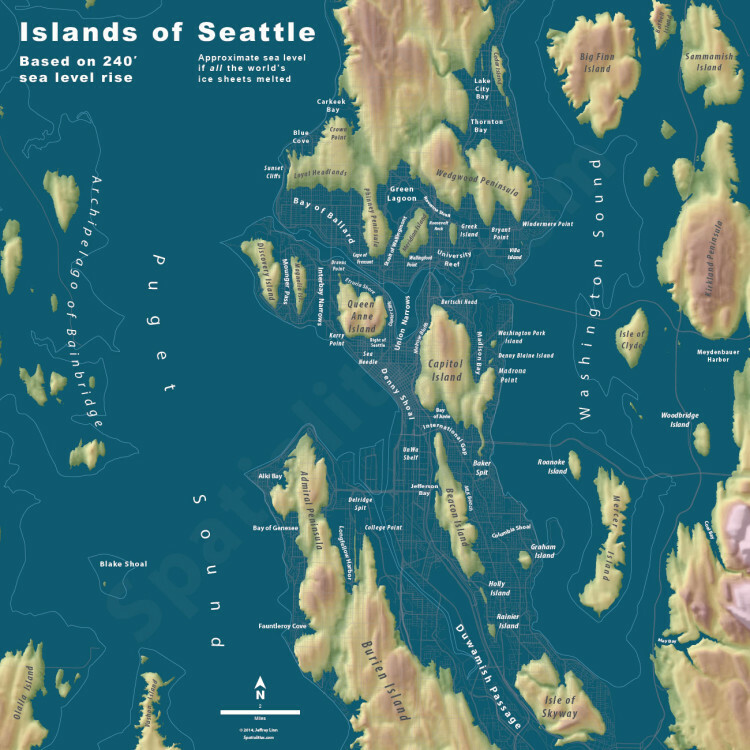 Designer and urban planner Jeffrey Linn has created a fascinating map series that depicts cities as they may appear if sea level rose significantly. 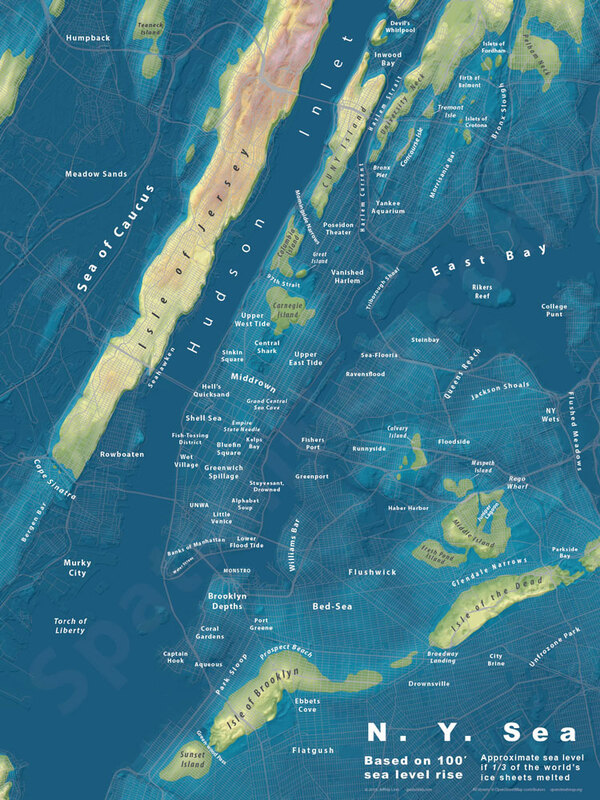 Some of the maps also include modified place names that reflect the new geography: witness New York City’s Upper East Tide and Isle of Brooklyn. 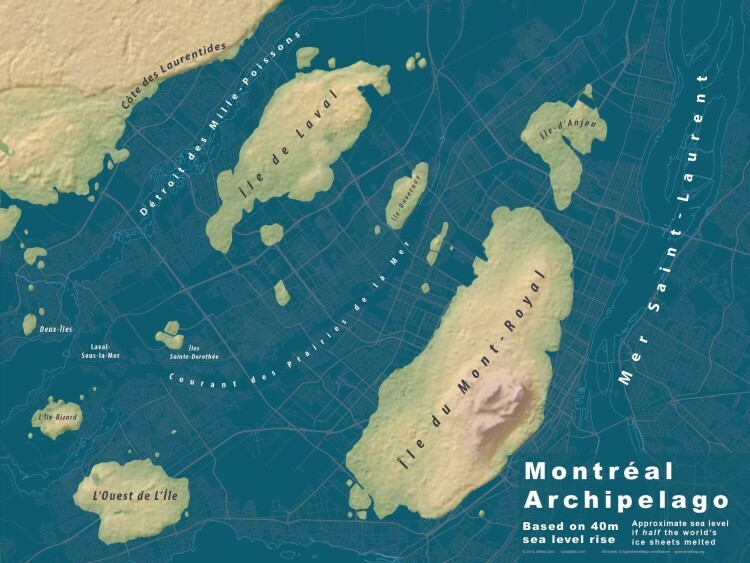 Posters are available for purchase.